Doesn't look like the Schwartz's deli in Montreal I used to visit. Where is this one Mike? 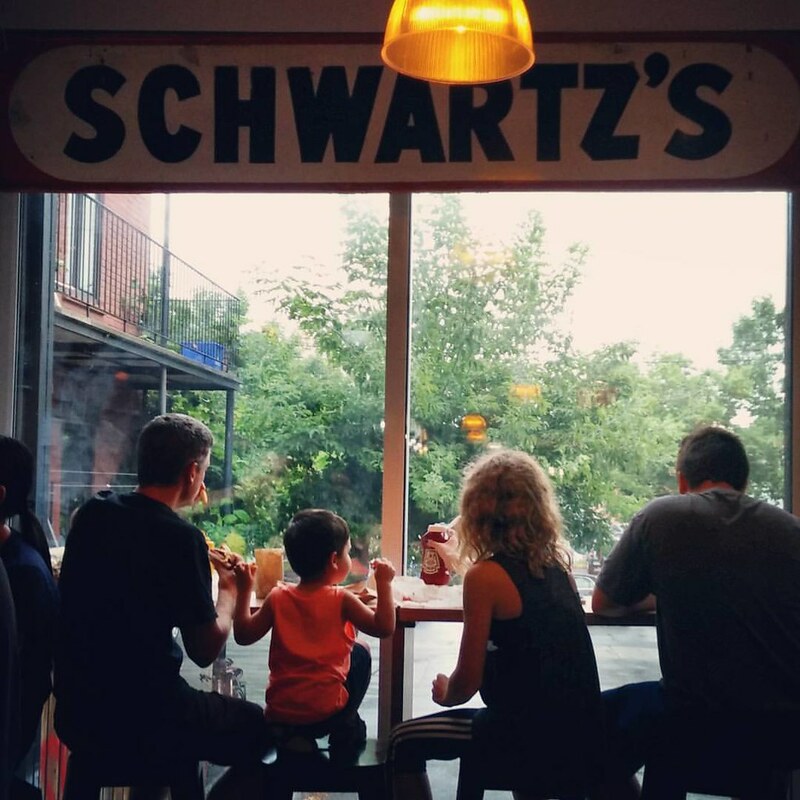 It's the one and only Swartz's at 3895 Saint-Laurent Boulevard. But it's the take-out side, not the sit down diner side. On the take-out side, the line is always much, much shorter, and there are seats at the back by the window. Very cool, never knew they had a take out side. It was always neat how in the restaurant at lunch, they seated you where ever there was space. Never expect to dine with your accomplices!